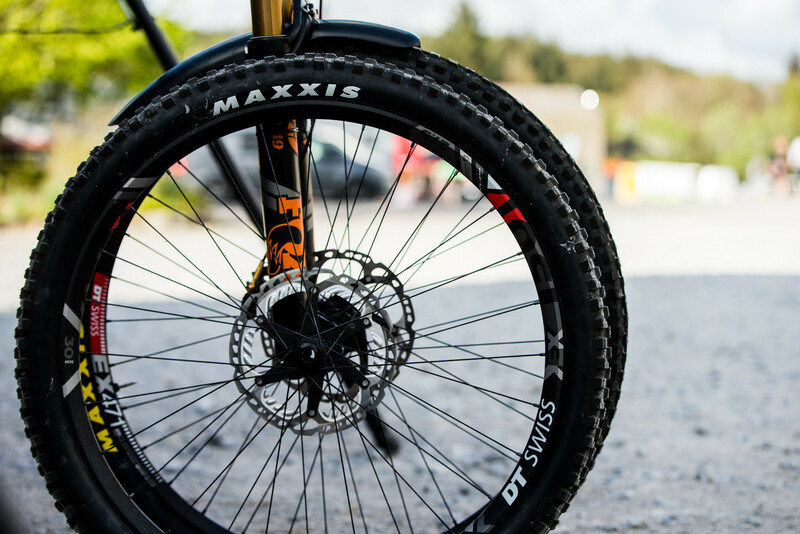 Danny makes the swap to 29-inch wheels on his Mondraker Summum and comes out on top at the Fort William BDS. Compare the two bikes. 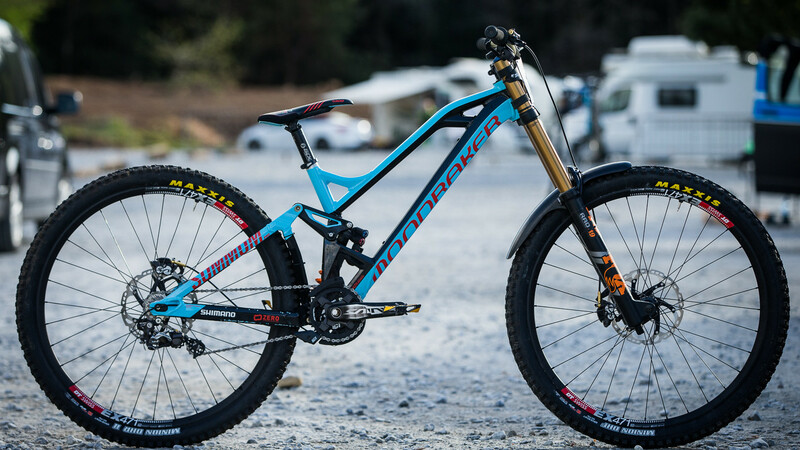 Let's take a moment to compare the World Champ's Mondraker Summum with 27.5 and 29-inch wheels. 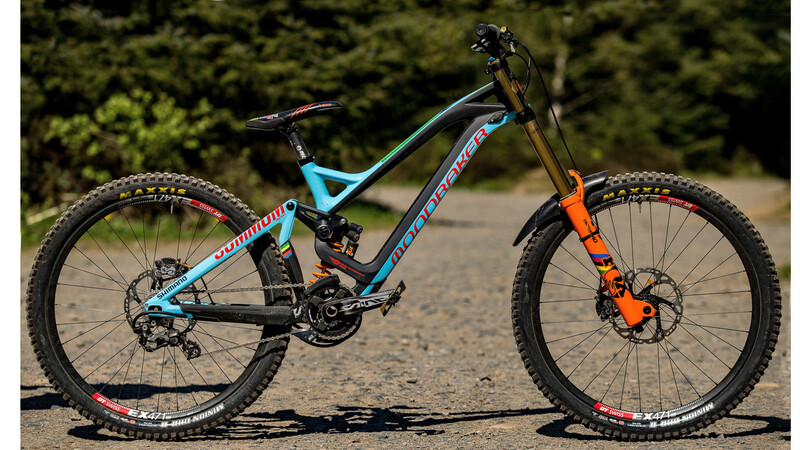 Danny rode the 27.5-inch version at the first World Cup in Lourdes but swapped to 29-inch wheels this past weekend at the British Downhill Series race at Fort William. With the Fort William World Cup just around the corner, it seemed like the perfect time to get some testing and training on the bigger wheels. Danny ended up winning the race by 1.6-seconds over Loic Bruni, who was on 27.5-inch wheels. While we can't get in the racers' heads to see just how hard they were pushing, the gap between the 29's and 27.5's didn't seem insurmountable, especially when we've heard reports of 5- to 10-second advantages on courses that are 4 minutes long. All we can do is check out the differences and get stoked for the World Cup where we expect to see even more big-wheeled machines. A quick and dirty video comparison of the two bikes. Here's what Danny said on May 5 about 29ers and DH. This is going to be 1 of those things that goes down as, You build it WE WILL BUT IT! Mix the two together and you have perfection. In 3 years 29 front/27.5 rear will be the standard. That old pic of Palmer in the lower right when Spomer is talking is one of the all-time classics . . . and, so are Funyons. And he has the back wheel mounted further back on the new bike. It's using the 27.5 rear swing so had to mount on that for clearance. The front triangle is new for the 29" wheels. Personal opinion here but I've always considered 27.5 nothing more than a stop gap until 29r tech caught up and could withstand DH punishment. 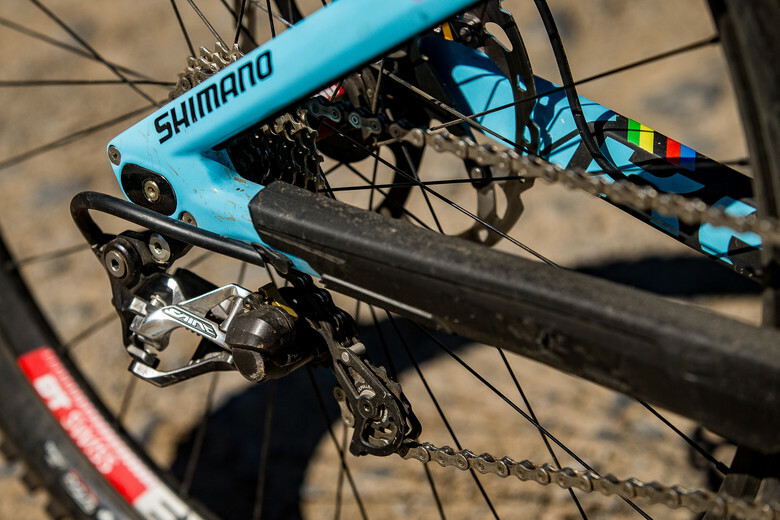 Designed with proper geometry a 29r will handle just as nimbly as 27.5 or 26. And the advantage of the wider radius tires will again have the same roll over advantage they had over 26rs. 29ers can handle fair but to say they will be just as nimble is a hard one to swallow. Phyics and rotational weight is hard to fix with simple geometry. I know for sure you won't see them at places like rampage or park bikes. There are some instances where larger wheels and tires wreck havock on fun. instead of speculating we should get the info from fox, mondraker and his mechanic! SSPOMER?!? they must be willing to give the nerds some feed, right? The relative height of the BB compared to an line draw between the front and rear axle, on the 29er it looks lower. Any thoughts? To maintain the same BB height (relative to ground), a 29er will have more BB drop from axles compared to a 27.5 wheel bike. That 29er look like a freakin' chopper. Top link looks longer on the 29" . Also looks like they tried to stiffen the BB by bracing from the link mount down to the BB. The 27.5 frame is carbon and the 29er frame is aluminum. Their production aluminum frames show that additional bracing. I have buzzed my pants on my BMX bikes, my 26" DH bike , my 26" DJ/Slalom bike and my 27.5 DH bike. I can name 20 other people who've done the same. Your point? The forks are orange in one pic, what do I win ?